What on earth is a Feminisestina? Kimberly Simms, Esq. has been providing legal advice to the California cannabis community since 2009, and was Chapter Chair of Women Grow San Diego until last Spring. This experience has made her one of the go-to cannabis legal minds in the United States. Alpha Woman caught up with Kim to discuss the challenges the industry is facing. AW: How did you get into the cannabis industry? When I went to law school I had no idea there was a cannabis industry, and had never actually tried cannabis. As I navigated my way through law school I was trying to figure out what kind of law I wanted to practice. I knew that I didn’t want to be a traditional suit and tie kind of lawyer, and that I really enjoy thinking about challenges in different ways. While I was studying for The California Bar I moved into a house with a roommate that was every bit a classic cannabis user. He was an artist and a free spirit. He loved everything about cannabis and was very knowledgeable about the plant as well as the laws, but being the lawyer that I am, I wanted to fact-check him to make sure he was not making stuff up. At the same time, I began to notice that there were dispensaries all around me in California and so my curiousity was piqued. I decided to dig deeper into the California cannabis laws to make sure that I knew what I was talking about. After I passed the Bar in 2008, employment opportunities were grim indeed. I spent more time with my roommate and met a friend of his who was involved with cannabis up in Northern California. He needed the help of a lawyer to research and understand what he could do with his farm in terms of cannabis. He was my first cannabis client. I was subsequently recommended to other friends in cannabis and after 3 or 4 months, I had a steady stream of people that were contacting me needing legal advice. I realized that there was a market here for the services I was providing. While I was coming to this realization I met a woman who was putting on b2b events about marketing for cannabis companies. The two of us started putting on events together, which ended up catapulting my practice. AW: What kind of cannabis clients do you have? 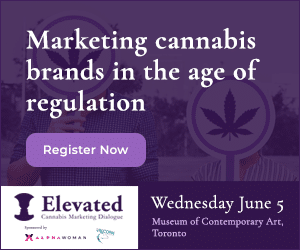 I work with both established commerical cannabis licensees as well as those seeking to enter and navigate the cannabis marketplace. I help my clients develop their strategy from the outset, acquiring local permits and state licenses, ongoing regulatory and compliance matters as well as drafting contracts such as supply chain agreements. We’re also now working with clients that are interested in developing hemp-derived CBD products. AW: What are the biggest legal challenges your clients are facing? Number one would be that In California we have a dual licensing process – local and state. Every county is permitted to opt-out of cannabis, or determine how it is regulated and where the operators can be located. The local licensing process can take a year, so imagine the carrying costs on a building for a year before you can even plant a seed. You have to be very well capitalized. Opening up more access to licences for these businesses around California is critical. Even if you are well capitalized it can be a long and difficult process. The 2nd challenge is that we’re in a new era of licensure in California. In 2018 we underwent multiple regulatory changes. We called this ‘regulatory whiplash’ as we constantly negotiated not only changes but the ambiguity in the regulations. We deal with 3 different agencies so it can occur that one set of regulations contradicts those from another agency. The third challenge a lot of our clients face is that because we had an illicit market for so long, it continues to thrive and it’s difficult for the licensed operators to compete. California municipal authorities don’t necessarily have the resources to shut down illegal producers so competition from the illicit market is incredibly challenging, especially coupled with the high tax rate that California has imposed. AW: What do you feel are potential solutions to stopping the illicit market? When a city bans cannabis they’re actually banning a regulated market. Smart and sensible regulation is a city’s ultimate tool to combat the illicit market. Most people want to comply, they don’t want to live underground. 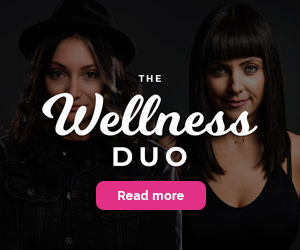 AW: Has being a woman impacted you in any way in the cannabis industry? Being a woman in the cannabis industry has not prohibited my growth in any way or served as a barrier to entery. In fact, in many ways it has helped shape my career. I started the San Diego Women Grow Chapter which I proudly ran for three years. Serving as Chapter Chair connected me to a lot of other women around the country and gave me in an invaluable platform to continue educating women seeking to enter the cannabis space. As far as the law industry is concerned, I would say that the non-cannabis Bar Associations are definitely more male dominated but the cannabis space is so much different. I’m a member of the National Cannabis Bar Association and it’s much more collegiate and interactive. Colleagues actually help each other out, there’s a feeling that we’re all working towards one common goal, which is a regulated system. AW: What are your thoughts on the future of cannabis in the U.S.? AW: How do you care for yourself mentally and physically? I have a 6 month old baby and he brings so much joy into my life. Right now, as a family we are working on defining “work-life” balance and what that means for us! We’re learning a new normal in our family. We take a lot of walks, and visit with friends on the weekends. I want to be a role model for my son and show him that working hard, and being your own boss can be a source of pride and true personal fulfillment. As a bilingual pioneer in global digital publishing and marketing, Leslie is happiest when creating new things and inspiring her teams. She is passionate about changing biases that hold women back from realizing their true power and is grateful that at this point in her career she has the skills to make real change. Alpha Woman is a first-of-its-kind social enterprise that focuses on informing, connecting and empowering women to lift our place in every aspect of life. Copyright © 2019 Alpha Woman. All rights reserved.